Is the Bible the Word of God or is it merely the words of men? This is possibly the most fundamental question we can ask about the Bible, for it touches on both its authenticity and its authority. When William Tyndale, the 16th century translator of the English Bible, was asked, "How do you know the Bible is the Word of God?" he replied quite simply,"Because it is". This is a more profound answer than it might at first appear! It's rather like asking, "How do you know that God exists?" However much we might like to think we can 'prove' the existence of God from evidence in the world around us - and there is plenty of it (see, for example, Psalm 19:1-4 and Romans 1:20) - ultimately all we can say is, "Because he does". When Moses encountered the Lord in the burning bush and enquired what answer he should give to the people when they asked him which god had sent him, God replied, "I AM THE ONE WHO ALWAYS IS. Just tell them, 'I AM has sent me to you' " (Exodus 3:14). In the same way, the Writer to the Hebrews says that, Anyone who wants to come to him must believe that there is a God and that he rewards those who sincerely seek him (Hebrews 11:6). Despite everything we say on this page, in one sense the Bible is the words of men! God chose to use human writers to convey his written revelation, just as he chose to make himself known to us in human form through Jesus Christ (Colossians 1:15). Through this unique record of human personalities, events and reflections, put into everyday language, God has graciously accommodated himself to our need so that we can understand his revelation. Even so, he used the writers in such a way that his Word was perfectly conveyed. As the apostle Peter explains, ... no prophecy of Scripture came about by the prophet's own interpretation. For prophecy never had its origin in the will of man, but men spoke from God as they were carried along by the Holy Spirit (2 Peter 1:20-21 (NIV)). What was true of the prophets was equally true of all the writers of Scripture. What they wrote was not merely their own recollections or understanding of events, but the very thoughts of God himself, perfectly expressed in a way we can comprehend. This means that we may place every possible Confidence in the Word. Even so, God's inspiration never excludes or bypasses the use of human intellect. The Bible is far from being the result of "automatic writing", as Luke makes clear at the beginning of his Gospel (Luke 1:1-4). The root of the problem is that none of us can ever prove to another person - in the sense of persuading them purely by reason or argument - that the Bible is the Word of God, any more than we can prove, purely by reason or argument, that God exists. God simply is, but whether or not we accept this must, in the final analysis, be a matter of faith - and that is something only God himself can give. But the strange thing is that, once you accept, by faith, that God does exist, then all the evidence that may be produced - whether from creation, philosophy, history or personal experience - will serve to confirm that faith, rather than contradict it. It's exactly the same with Jesus Christ. Once we accept for ourselves his claim to be the Son of God, he will give us abundant proof of this. But if we refuse to believe, then he will for ever remain an enigma. Again, the same principle applies to the Gospel - the good news of salvation through Jesus Christ. Once we accept this as true, and affirm it with our verbal confession, God will confirm our profession of faith in many wonderful ways (see Romans 10:9-10). But if we refuse to believe, the Gospel will never make any sense to us. And we also thank God continually because, when you received the word of God, which you heard from us, you accepted it not as the word of men, but as it actually is, the word of God, which is at work in you who believe (1 Thessalonians 2:13 (NIV)). Paul is referring here to the message he had preached in Thessalonica, which some of his hearers had received as a message from God himself (see Acts 17:1-4). And the proof of their faith was the effect the Word was having on their lives - it was at work in them, completely changing their whole outlook and lifestyle. John Calvin, a Protestant reformer who lived and worked mainly in Switzerland, testifies how, as soon as he experienced the triumph of God's grace in his life, this at once settled for him the question of whether or not the Bible was the Word of God. He records, Our heavenly Father, revealing his majesty (in the Bible), lifts reverence for Scripture beyond the realm of controversy. For Calvin, the majesty of God and the undisputed authenticity and authority of the Bible were inseparable. All the attributes of God, revealed through the sheer magnificence of his sovereign grace, could be applied to Scripture. For Calvin, this was sufficient confirmation that the Bible was indeed God's Word. Luther's likening of the Bible to a sacred ark does not mean that the Bible is merely a receptacle for God's Word but is not itself God's Word, in the same way as a glass may contain water but is not itself the water. The ark was not holy because of what it contained (see Hebrews 9:4) - it was itself a sacred object (2 Chronicles 35:3 (NIV)). In the same way, we should not think of the Bible as merely containing the Word of God. The Bible is the Word of God. Martin Luther, the German Protestant reformer, explains how this was possible. The Bible is the same Word that Paul delivered to the Thessalonians, but conveyed in written form in order, as Luther put it, to preserve it for us safe and sound as in a sacred ark. Indeed, as Luther himself points out, this was a task which the apostles themselves considered necessary. We believe that these scriptures and testimonies, and others like them, offer a most convincing line of evidence that the Bible is exactly what it claims to be - the Word of God in written form. As the Writer to the Hebrews explains, it has a transforming effect on those who read and apply it with the necessary faith, For the word of God is full of living power (see Hebrews 4:12-13). As the Holy Spirit impresses a passage, a verse, or even a single phrase of Scripture upon a believer's heart and mind, God's imparts something of his own life to them. The experience of countless millions of Christians down the ages, and our own, serves to convince us that the only way to begin to develop true Confidence in the Word is to take the Bible at face value, as if it really is the authentic Word of God. If you do, we guarantee that God will more than amply vindicate your trust, and prove to you beyond any doubt that, ... people need more than bread for their life; real life comes by feeding on every word of the Lord (Deuteronomy 8:3, quoted by Jesus to Satan in Matthew 4:1-4). 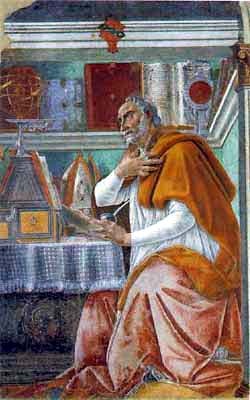 Centuries ago, St Augustine of Hippo established the principle of fides quarum intellectum - believe and understand, or as it is sometimes amplified, Do not seek to understand that you might believe, but believe so that you may understand. This is sound advice indeed for all who would seek to develop their confidence in the Bible as the authentic Word of God. It is something that is fundamental to approaching the Scriptures in a way which will enable us to reap the richest benefits from our Bible reading. How to begin this exciting, but sometimes demanding task forms the subject of our next page.